I thought in keeping with the notion of an out of the box shooting rig, I would use only factory ammo. 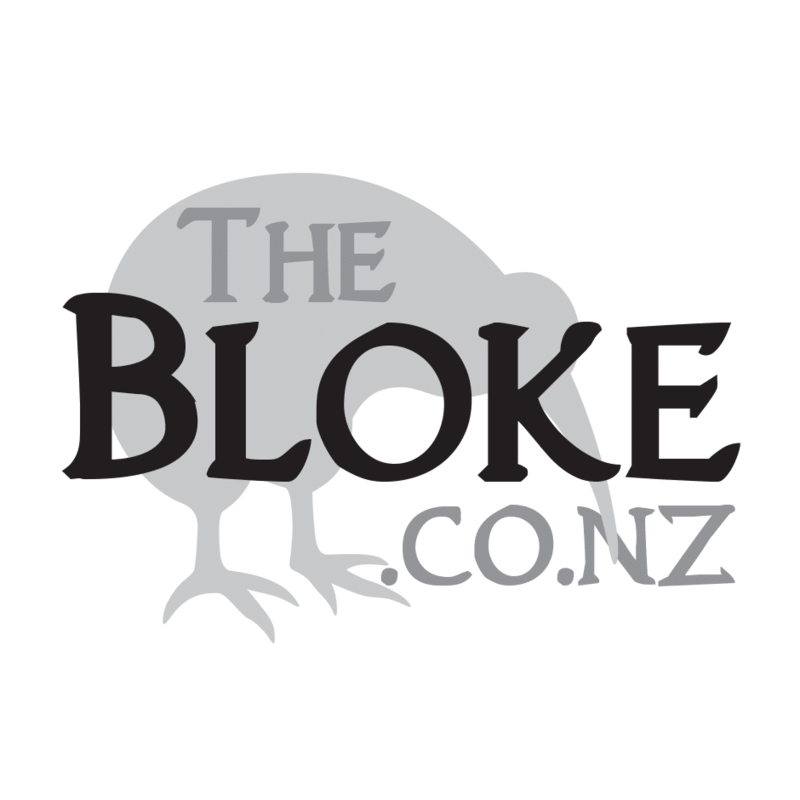 Steve from Steve’s Wholesalers kindly sent up a selection of Hornady Match – in 120, 140 and 147 grains – I was interested in comparing the notion of heavy projectile weight, but slower speed to a lighter projectile and faster velocity. 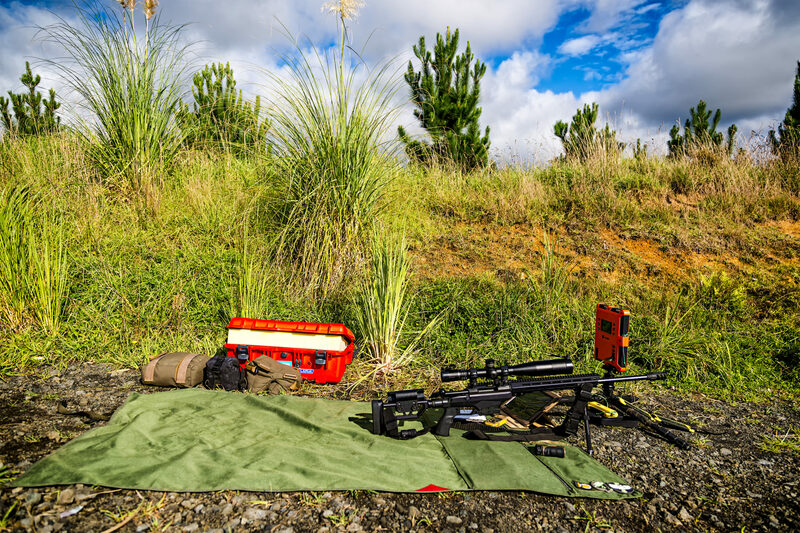 The groups were shot prone, using the Tikka TAC A1 – first time using the rifle, first time shooting a 2-stage trigger, first time using the Atlas V8 Bipod, new rear bag, field conditions – shooting off a gravel road. 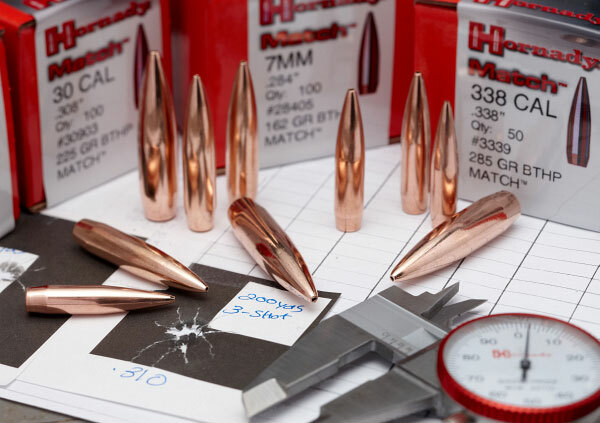 Hornady Match Ammo is built around their ELD-M projectiles. Essentially the replacement for the A-Max, the ELD-M features their ballistic tip – designed to not deform or melt at high temperatures. Basically, this is the bee’s knees of factory ammo out there at the moment – with great reports about it coming from all over the place. I received the boxes from Steve’s Wholesalers and got ready to head out. It was time to get some data! I headed out to the range with the chronograph – five rounds of each to give us an indication of true velocity, ES and SD. Sure – I would have liked to run a box of each – but – I only had so many, and wanted to also shoot out to distance on some steel. 120 shot the smallest group, then the 140, then the 147. 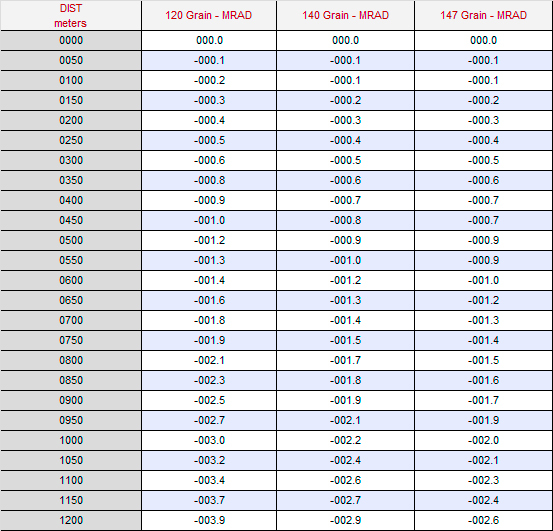 Interestingly, the 120 strung vertically, the 140 horizontally, and the 147, well, was kinda all over the place. 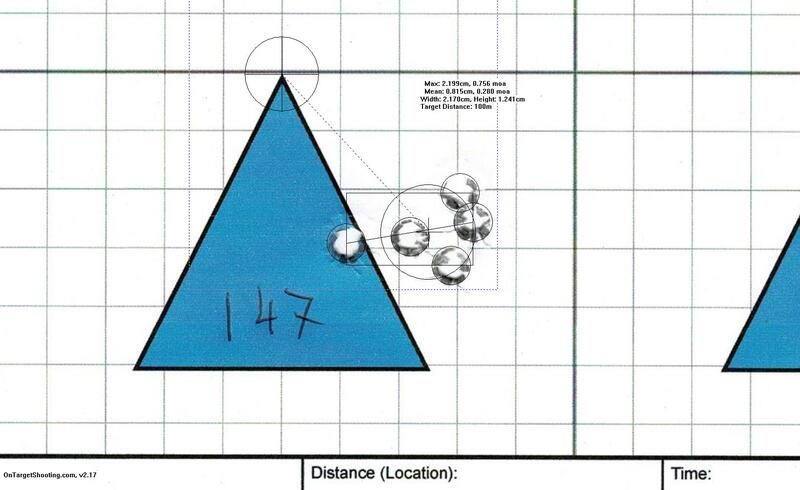 120 was under a half moa, the 140 just over and the 147 was three quarters – all five round groups. Ignore point of impact – it’s kinda irrelevant as I would just change the zero to suit the eventual choice of ammo. 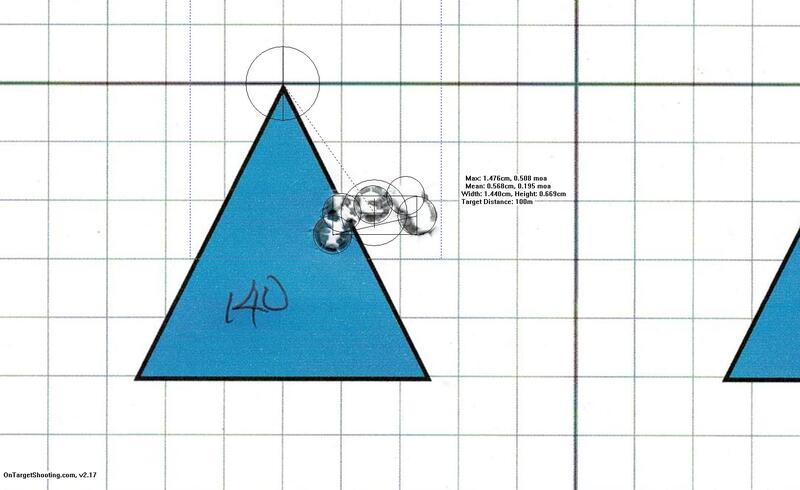 I had heard the Tikka barrels were a bit slow – so wasn’t surprised to see lower velocity than the box indicated – however, has expected a lower SD. However – as mentioned – it was only a small sample size. I often think if people were running a minimum of ten rounds for data collection – even more being better – then the figures floating around the internet would be very different. However, with modern ballistic software – we can calculate just how much difference high or low SD makes, and where it really starts being an issue. For me, I was evaluating the rifle as a field shooting gun – while it would occasionally be stretched out over 1k – it’s primary use was going to be between 400 and 800 meters. So, bear that in mind when I am making comparisons. 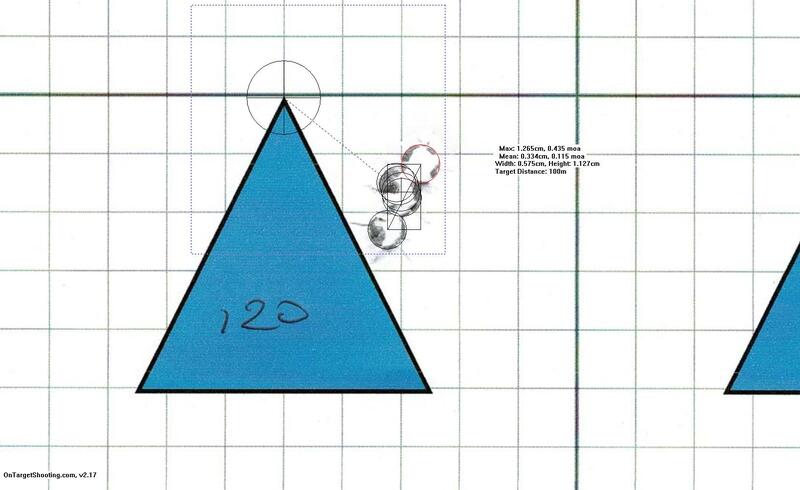 Really, within reason, the drop is not that much of an issue – your elevation adjustment, with a properly trued ballistic chart – is consistent and repeatable. Sure – it ties into other ballistic factors – but – at 1000 meters – the 120 is dropping an additional .7 mils. Consistently. Again, with the primary use of the firearm in mind, field shooting, I had other things of more interest to me. Does the lighter bullet get pushed around more? Righto, onto the interesting things. At 1000 meters we have one mil extra of wind – that’s 1 meter. It’s not so much the extra adjustment – which again, is maths – but its also an extra margin or error. That’s the issue. At 800 that goes down to .6 mil – and at some point, we also need to start contemplating how big the targets are. So at .6 at 800 is 48cm. 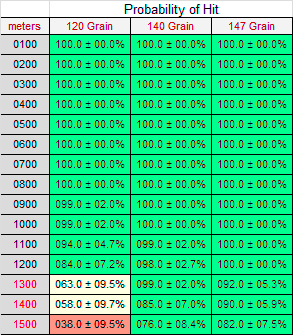 If I am shooting at a 300mm target (our standard) – then if I call 4.5 m/s wind – and it drops when I pull the trigger – I have 1.87 mils of error. We start getting into bracketing wind around here – which is really another article. But If I was shooting the 147 – 1.5 mils of wind – if the wind dropped to zero – I would still be on the edge of the target. So yes, in this case, if wind deflection was the only consideration – the heavier would be the go. It’s also potentially the hardest to quantify. The 120’s were nicest to shoot. The least recoil, the quickest back on target, with the 147s being the worst. I mean, we are talking a 6.5 Creed with a muzzle break. It’s not like we are talking high recoil anyhow. But – with the game we are shooting – where quick follow up is a major bonus, spotting your own misses is a major bonus, light and fast is awesome. This weight would be awesome to teach people to shoot during our courses – the minimal recoil would mean people can focus on the fundimentals – while the gun would still reach out far enough to make people smile. So, despite what might seem a performance edge on of the 147 – for most my shooting, I am really leaning towards the 120. So, for the final part, I wanted to delve into what exactly the effect of the higher SD was going to have on my shooting. 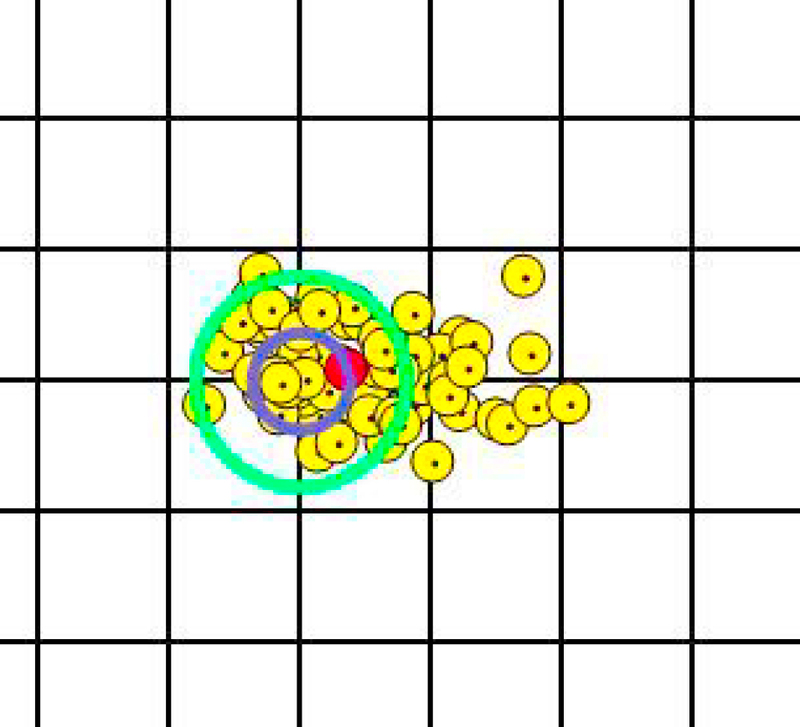 Again, in context of the target size and distances, I was going for. Coldbore has a function in it call Error Budget – it works similar to the Applied Ballistics WEZ function – in that – it allows you to calculate hit probability based on defined variances over a range of inputs. Want to know the effect of SD? No issues. 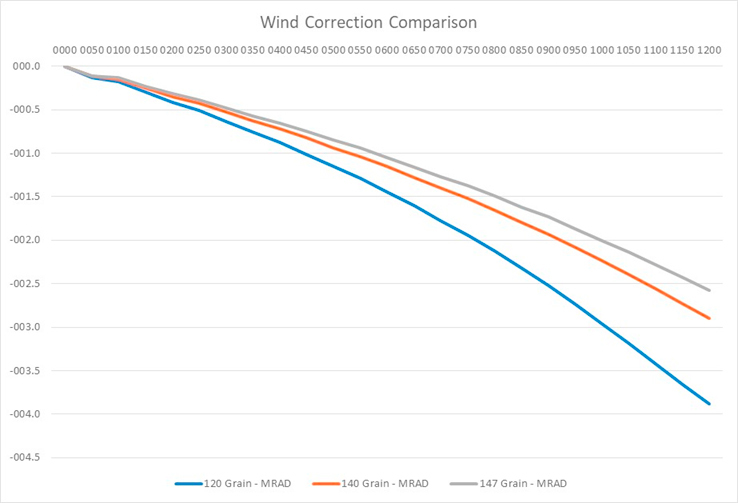 How much your wind call matters? Easy. Its an incredibly powered bit of software for determining what are the biggest, actual issues at any range, any target size. And it’s a lot of fun to play with! So – punching the details into the system, with the SD, velocity and projectile weight being the only real differences, I was able to get an idea of how far I would be able to shoot out before my hit probability diminished to the point of not being viable. Basically, even with high SD of the 120 I sampled, out to 800 – which is my main concern – I have a 100% hit rate on the 6 inch target. Now, if I was shooting further regularly, I would be hand-loading. No question. So – what will I shoot? I just ordered another box of the 120 Hornady Match. I shot the THLR Proficiency test with the 120 – and, well, no issues there. For factory ammo, I doub’t I will find much better. 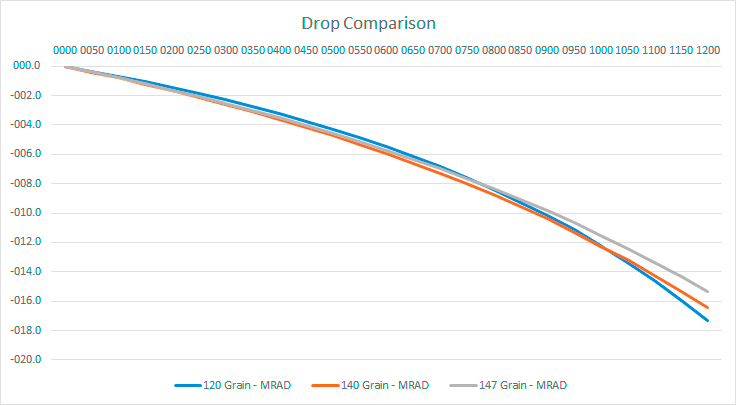 What grain weight you go with is dependant on how far you want your sweet spot for the firearm to be. Stretching further? Grab the 147 – closer in? 120 and enjoy!